An INCREDIBLE rescue and rehab center for marine mammals! Please, check out their website. Great place to visit & learn! 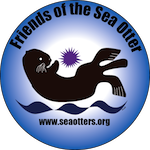 The oldest nonprofit sea otter conservation organization around, Friends of the Sea Otter excels in education and stewardship information. 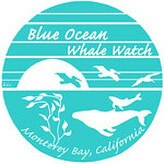 Marine Life Studies and Whale Entanglement Team conduct research, promote education and save whales in Monterey Bay. These folks know Elkhorn Slough and Moss Landing like the back of their hands! They provide ethical, respectful opportunities to visit this AMAZING eco-system and provide expert guides, who can tell you about the many animals you'll see during a kayak excursion. See humpback whales, sea otters, sea lions, possibly gray whales, orcas and blue whales, too!!! These folks are the BEST. Kate and Jim will provide a knowledgeable, exciting and once-in-a-lifetime whale watching experience! Great white sharks are incredibly intelligent and sophisticated marine predators. See them with Great White Adventures, and discover these awesome animals, up=close and personally! Whatcom Marine Mammal Stranding Network website is a great tool for learning about pinnipeds.